Press: Real Wedding Feature on Intimate Weddings! As promised, I am now blogging all of the press my company receives. If you’d like to see a collection of press dating farther back than the most recent announcements, please refer to my company PRESS PAGE. Now, onto the fabulous news! 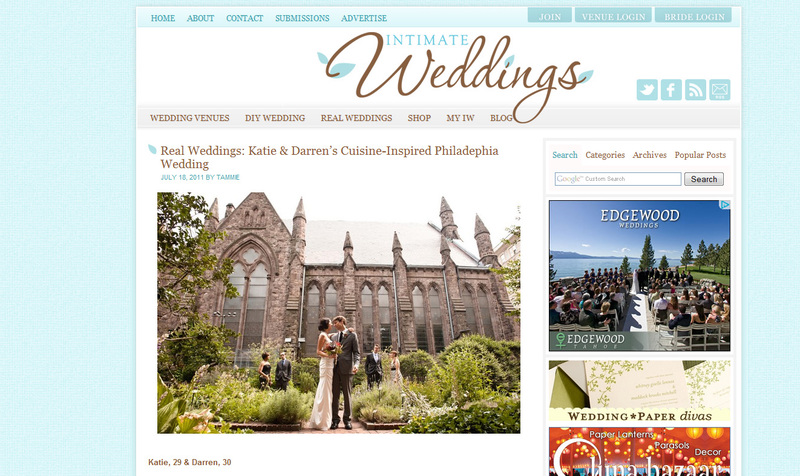 Yesterday our photos from Katie and Darren’s Wedding were featured on the Intimate Weddings Blog! The couple shared part of their wedding story at the blogs request as well if anyone is interested in reading how their wedding came to be! Intimate weddings is a blog that features unique weddings of 75 guests or less as well as other ideas intended to inspire brides planning small, close-knit weddings with lots of character and personal touches. We’re honored to be featured on their prestigious site!